We provide support and assistance to deal with domestic and family violence. Our approach is non-judgemental and we support you to make your own decisions in your own time. Referrals to community organisations, crisis services and women’s refuges. Click here for the DV Help Pack information about local services or contact us. We have over 40 years experience in providing health care and counselling for women experiencing domestic and family violence and our staff have more than 20 years experience in supporting women at court. If, for whatever reason, we’re not the right place, we’ll help women find what they need. We take an interest in how we can help change things for the better and with this in mind, we’re partnering with Inner West Council on ‘Speak Out’, a fantastic local campaign that’s raising awareness in our community about domestic violence and respectful relationships. We also take a real interest in working with other local services and for us this means we auspice the Leichhardt Marrickville Domestic Violence Liaison Committee (LMDVLC) and we’re a member of Sydney Local Health District. The LMDVLC aims to raise awareness of domestic and family violence issues and enhance interagency responses and partnerships within the Leichhardt, Marrickville and surrounding areas. If you are from a local organisation and would like to find out more about the committee, please contact the secretary Matthew Balane on T: 9367 9271 or E: matthewb@lmc.nsw.gov.au. The Sydney Local Health District Domestic Violence Committee comprises over 20 health services in the local health district which meet quarterly for networking, partnerships and advocacy for domestic violence prevention and support in order to enhance information and service access for clients. And in 2014 we established SOS Women’s Services with other agencies and local business people to advocate against the closure of women’s refuges in the inner city. After the success of that campaign we expanded our advocacy state-wide and have advocated for additional funds for women’s organisations. The state government is currently considering two recent proposals – the establishment of Domestic Violence Prevention Clinics in 17 women’s health centres and for women’s refuges to be remodelled with independent living starting with four pilot sites. For more information go to http://www.soswomensservices.com/. We welcome donations to assist women and children. Financial donations help cover the costs of providing health care and are also often used to help women in crisis to pay their bills. 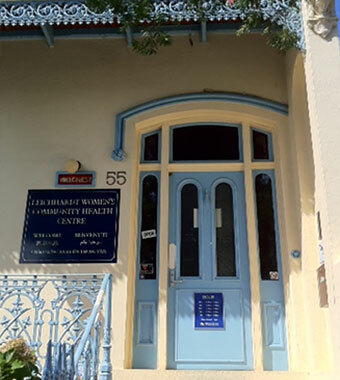 Donations to Leichhardt Women’s are tax deductible. Sometimes new clothes and toiletries can be particularly helpful too. Contact us to discuss your donation or for more information.